The USS Gerald Ford recently returned to Norfolk, Virginia, after completing another step in pre-combat testing trials, according to a US Navy announcement. The service has requested $62.7 million dollars from Congress to repair and update the ship. The Navy said that a sweeping majority of the Ford's systems that have faced technological, engineering and manning hurdles are now available and ready to go after arriving in port Sunday. "The Engineering team's efforts resulted in system improvements, serving to increase the overall system availability from less than 5 percent to more than 90 percent," the Navy said Monday. The service accepted the USS Ford from the shipbuilder in May 2017, and ever since, the ship has been moving slowly toward becoming the first Ford-class aircraft carrier to be a part of the US carrier fleet. In a little more than 13 months since then, the ship has completed 81 total days at sea to test everything from launching and landing fighter planes to certifying the ship's air traffic controller center. Two of the newest systems on the Ford, the electromagnetic aircraft launch system (EMALS) and advanced arresting gear, have proven especially costly and time-consuming to perfect. These systems may finally be ready, if the omission of extra funding in the Navy's most recent request to Congress is any indication. "You have to be Albert Einstein to figure it out," US President Donald Trump once said of the complexity of EMALS. Three issues have stood out in particular, according to the service's request for more funds for the USS Ford in June. The Navy told Congress it would need $12.7 million to mend "continuing technical deficiencies" for elevators responsible for moving weapons from storage to the flight deck, $30 million for "tooling and repair" of a faulty main thrust bearing and some $20 million to pay laborers and buy parts for more routine repairs, Defense News reported July 15. 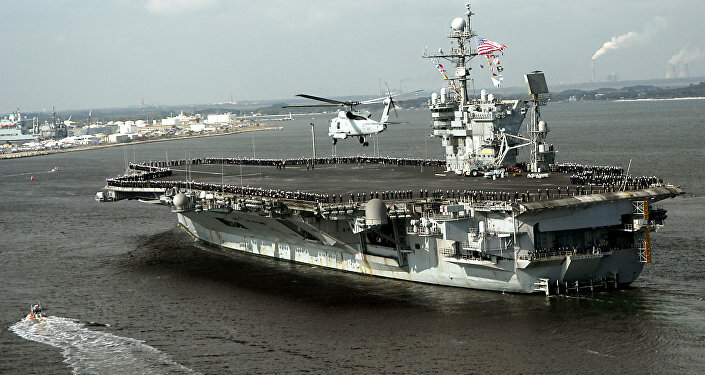 In sum, the carrier is expected to exceed the $12.9 billion Congressionally-mandated "spending lid" by $120 million before it has served a day in a combat theater, the Diplomat reported Thursday. The $13.02 billion that has been appropriated for the ship — or is expected to be appropriated by an eager Congress that has also expressed willingness to expand the Ford-class from three ships to four — surpasses initial cost estimates by about $2.4 billion. For perspective, approximately 150,000 US student-athletes receive university-level athletic scholarships totaling $2.4 billion per year, according to the NCAA. "The ship delivered 20 months later than the Navy planned, with construction-related work still remaining and over 40 serious deficiencies that could impact ship operation or safety," the Government Accountability Office (GAO), a federal watchdog, reported in April. 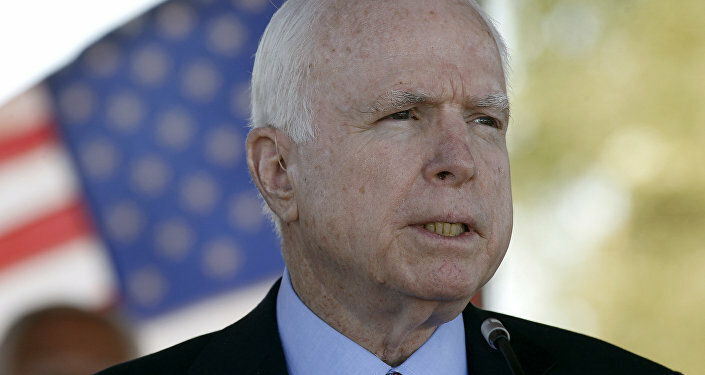 Sen. John McCain (R-AZ), who was diagnosed with a particularly aggressive form of brain cancer almost exactly one year ago on July 20, 2017, captured the most salient issues with the government's procurement of the USS Ford in 2015: "The Ford-class program is actually symptomatic of a larger problem: the dysfunction of our defense acquisition system as a whole. A decade of oversight reporting show that CVN-78 [USS Ford] has been plagued by the same problems found throughout Navy shipbuilding and, indeed, most major defense acquisition programs: unrealistic business cases, poor cost estimates, new systems rushed to production, concurrent design and construction, and problems testing systems to demonstrate promised capability. All of these problems have been made worse by the absence of competition in aircraft carrier construction."